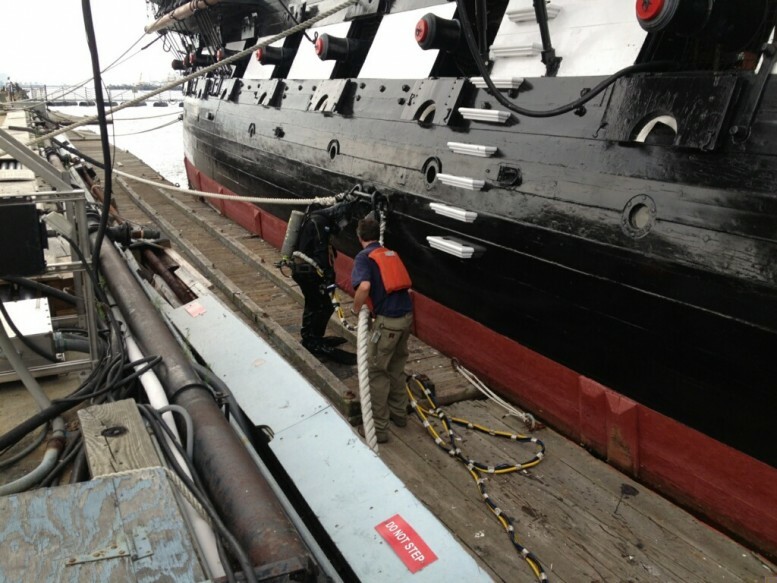 Childs Engineering recently finished up inspecting the berth of the USS Constitution, the oldest warship afloat, at the Charlestown Navy Yard in Boston, MA. The inspection was done using surface supplied air from both the pier and from our boat. Our diving was coordinated to make sure that our operations around berth were done when the USS Constitution was closed to the public, to provide minimal impact the their daily operations.